See ‘It Happened One Night’, and one half of you will want to give Frank Capra’s effervescent 1934 screwball road movie a big old hug. The other half will want to slap it around the chops, tell it to stand in the corner and think about what it has done. Touted as the film that set the template for the modern romantic comedy, the question we must ask is: can we find a place in our hearts to forgive it for setting the precedent for such recent abominations as ‘The Back-Up Plan’, ‘The Ugly Truth’ and ‘The Bounty Hunter’? Well, of course we can, but only because Capra’s film has more charm and zeal in a single frame than in all those films put together. 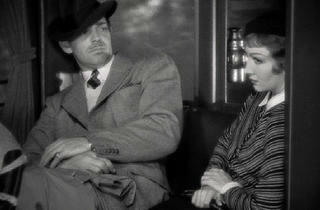 It’s the story of a salty, hooch-swilling reporter (Clark Gable) who is thrown together with a spoiled society heiress (Claudette Colbert) on an overnight Greyhound bus to New York. The film (which is being re-released to coincide with a Capra retrospective at the BFI) simply follows them as they bicker, backbite and clamour for the upper hand. Every line of dialogue is calculated bliss, the chemistry between the leads is magnificent, and the backdrop of Depression-era America allows for a prescient and amusing subplot about how well-heeled urbanites are compelled to misbehave when they have no money in their designer pockets. It’s probably more historically important than it is a masterpiece (the last 20 minutes take the missed conections and misunderstandings an inch too far), but it’s still very easy to fall in love with. This film deserves 6 stars and it's still as charming and watchable as it must have been 82 years ago when it was made by one of the best film directors ever--Frank Capra. 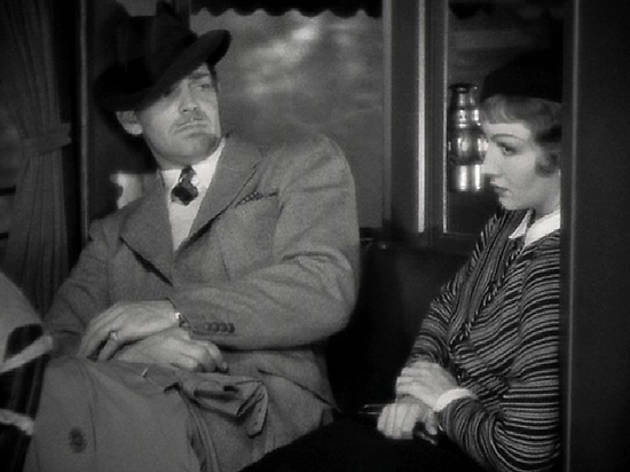 The incredible chemistry between Claudette Colbert as a runaway bride and famous heiress and Clark Gable as the undercover reporter trying to save his career with her story has never really been matched in any romantic comedy since 1934. You'll recognise so many plot lines and even entire scenes that were copied in later films ("Roman Holiday," "Runaway Bride", etc), but never as successfully as the originals here, including the hilarious 'hitchhiking scene' and the 'walls of Jericho' bit (you'll never think of a blanket and trumpet the same way again). The two stars and Capra were awarded well-deserved Oscars, so don't let the black and white filming put you off. This is one of the most enjoyable films you'll ever see. The first great road movie and as fresh today as it was in 1934. Worth seeing if only for the wonderful chemistry between the leads. But it's also a magical window into Depression era America.